Last week we had a great time learning how to make Ricotta cheese with Luella (the San Francisco Milk Maid). In 1 1/2 hours we made Ricotta two ways (whole milk and whey based) and Marscapone. We tried out three different acids to create our curdling reactions. 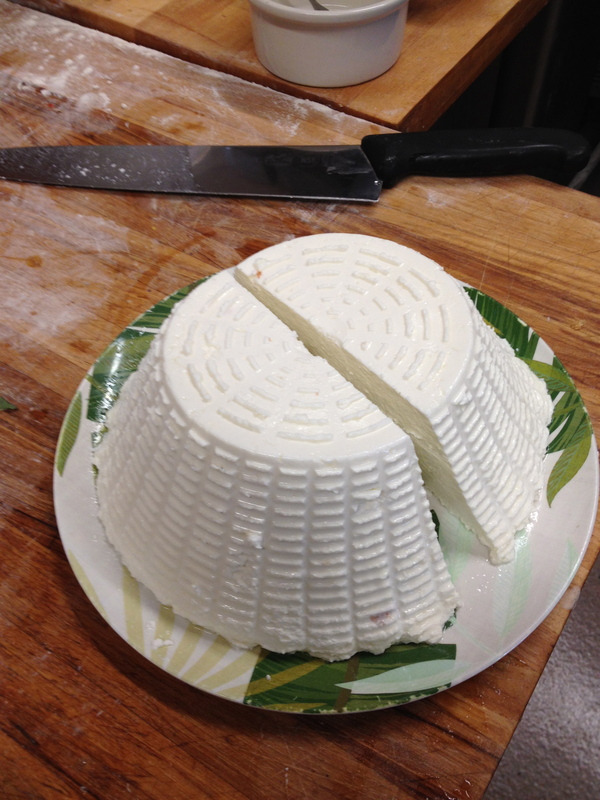 Temperature, milk and timing where the important ingredients that went into making this delicious fresh cheese. I thought I would like to share a picture of the finished product. Get old and moldy in a delicious way by making your very own Stilton-style blue cheese with the San Francisco Milk Maid. This 2 hour class starts with fresh milk, cream and some magical spores. In class we’ll cover cheese making basics, key supplies, how to care for your cheese and, lastly, when to crack the wheel. Each student takes home his or her own mini wheel to ripen, possibly ending with a very special treat for the holidays.